Duluth, MN: GPM, Inc. (GPM) is excited to announce the addition of Chad Bannor to the Bismarck, North Dakota office as Outside Sales Associate, specializing in the oil and gas industries. Bannor will be responsible for business development throughout the North Dakota oil fields. He will focus on strengthening GPM’s growing presence, meeting with new customers and addressing their site needs. 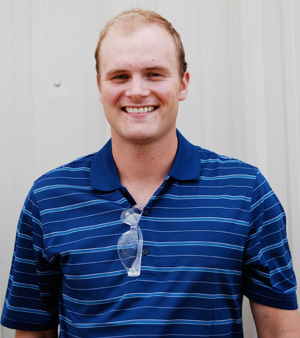 Bannor joins GPM with an extensive background and experience in the North Dakota oil fields. Most recently, Bannor was employed in the Bakken oil fields as a roughneck for Ensign United States Drilling and as a field technician for BOS Solutions in solids control. Bannor will bring firsthand experience to the table as he serves the Bakken oil fields with the GPM-Eliminator™ line of pumps and other pumping solutions from GPM.